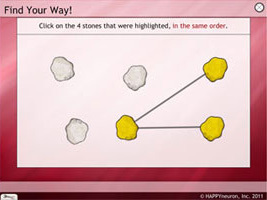 This page is intended for therapists and activity directors, showing common uses cases of HappyNeuron Pro's Cognitive Therapy Tools with your community members or patients. As an activities director, cognitive stimulation with fun and engaging activities is extremely important to you, but can also be a difficult task to do. Finding the correct activities is time-consuming and then you need to set up and run the session, work through the activity and make sure it suits the people you’re working with. If that sounds like something you continue to experience or you find yourself using pen and paper activities in group or single sessions, HappyNeuron Pro can represent a much-needed shift. 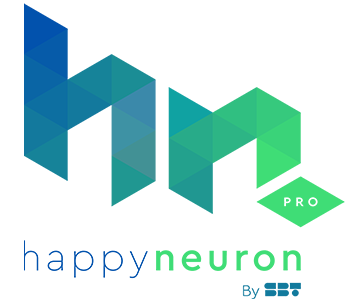 HappyNeuron Pro offers 38 different activities to stimulate all areas of cognition (Memory, Attention, Language, Executive Functions, and Visual & Spatial Skills) as well as a complete user management system, performance reports, home-based workouts, and much more. Each activity can be repeated many times with new content, and because each task comes with thousands of data sets there is no need to prepare worksheets for each session. Since HappyNeuron Pro is a computer-based solution, it can be used in both group and individual settings. In a group setting, it’s simple for an activity or facilities director to manipulate the program while showing it on a tv or a projector, and in an individual setting, those that want to engage with the program by themselves are able to do so. 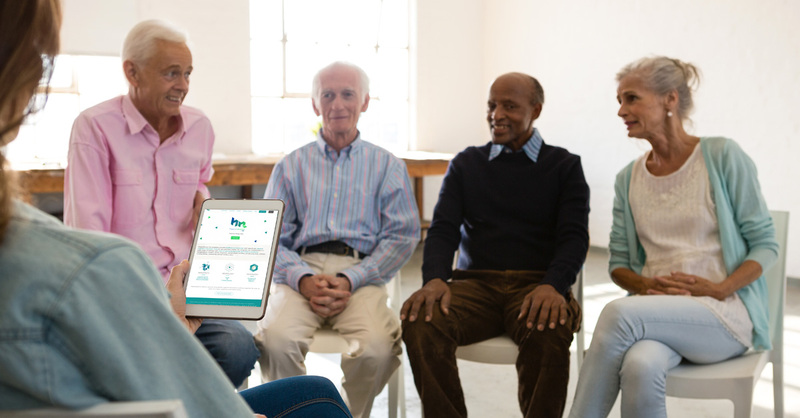 A common use case we find in elder care centers and nursing homes is using HappyNeuron Pro for its activities for seniors, especially those targeting Dementia. For people with Dementia, memory can be significantly impaired. Progressive dementia like Alzheimer’s or Lewy Body Dementia in particular rapidly damage the brain structures that host memory, quickly affecting working and declarative memory, making it hard to remember what happened when and to remember what it is you were supposed to be doing. It’s possible to improve memory, which can help prevent memory loss – this means it’s especially important that people with Dementia engage in activities designed to improve spatial working memory and others. This helps reduce disorientation and remembering where an object is in a room, for example. During this activity, the patient must memorize a path and reproduce it forward or backward with or without help and with a various number of items. In daily life, we often use this type of memory when we want to remember how to get to someone’s home for a visit.